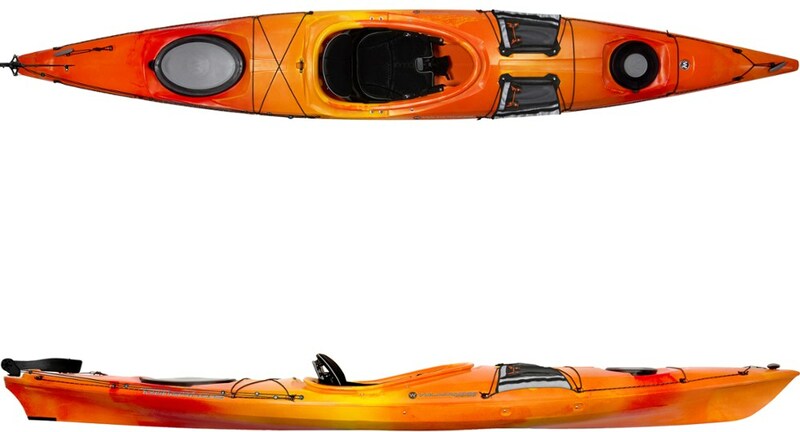 Lightweight kayak that is stable and excellent control in all conditions with easy paddle. Can be loaded up with all kinds of gear. Very tough construction for water play. Handles rocky shorelines excellent. 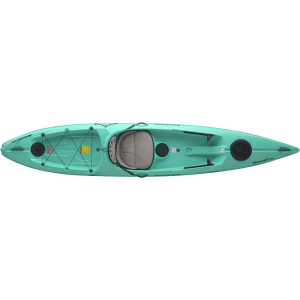 Can be used as fishing kayak. This kayak is amazing. You can throw it down a hill to the lake or river. 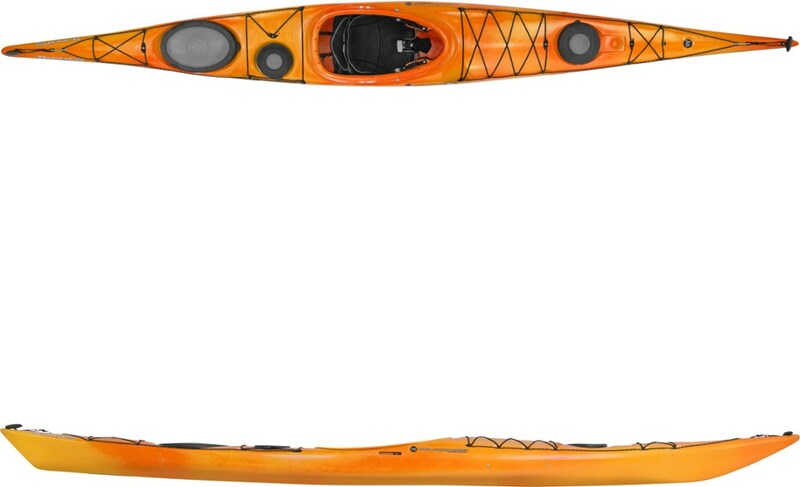 The kayak plastic is light, tough and flexible handling impacts well. 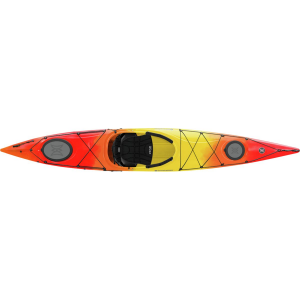 It has easy turning capability and long straight windy crossing capability when the drop down skeg is used. At 14 ft it is light to load and is very stable. You can carry all the gear you need for long touring trips staying in many locations for a long time. With a little work a Scotty three rod T can be plugged into an installed scotty flush mount directly in front of the cockpit on the deck. Leave room for spray skirt. This works great since the flush mount has an attached rubber cap that pushes in when not being used. It doesn't get in the way when not fishing. The Scotty is also capable of holding a depth sounder if wanted. You attach little cleats on each side for stringer and whatever else you want to attach. A small grappling anchor will handle all your anchoring needs by attaching a clothes line setup with carabiner line passing through the cleat on the side and another carabiner on the bow and likewise for the stern. This allows you to throw out the anchor then slip it in the carabiner and drag the anchor line to the bow or stern for safe anchor. You carry the anchor line and anchor in a 1 gal plastic bucket between your legs in front of the seat no problem. Great fun. 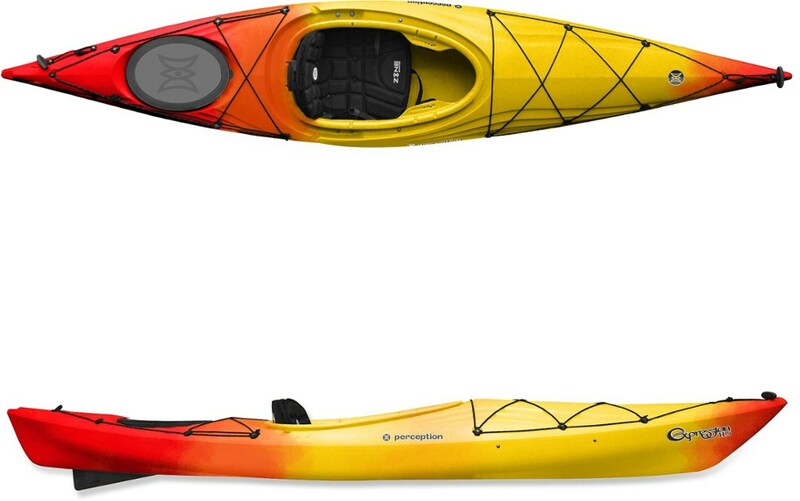 The Pelican Sport Pursuit 140 is not available from the stores we monitor.